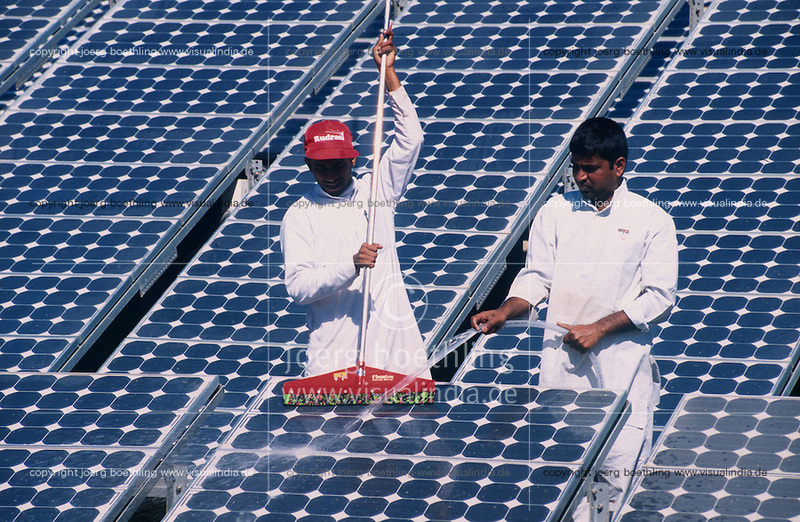 INDIA Rajasthan, cleaning of solar PV panels at Brahma Kumari Ashram in Mt. Abu / INDIEN Reinigung von Solarzellen im Brahma Kumari Ashram in Mt. Abu, more images on this subject available!